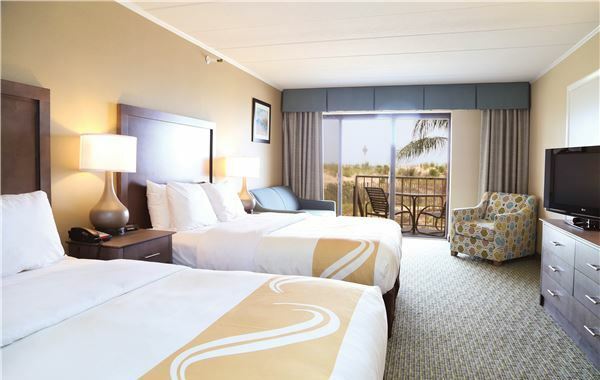 The rooms at our oceanfront tropical retreat go above and beyond the call of typical hotel accommodations. 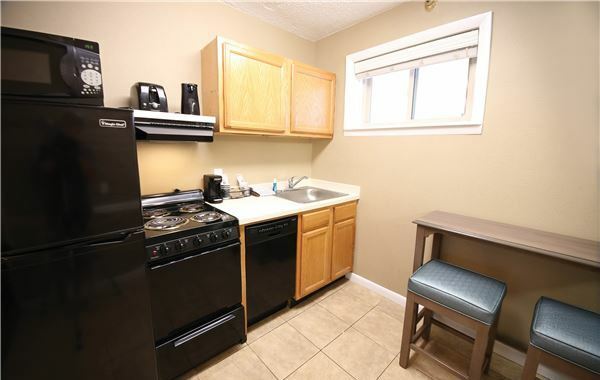 We proudly offer well-appointed efficiencies with kitchenettes that come equipped with everything from a full-size refrigerator and range to a dishwasher and microwave oven. 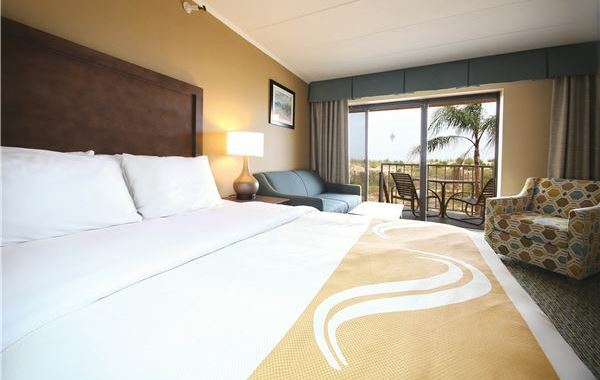 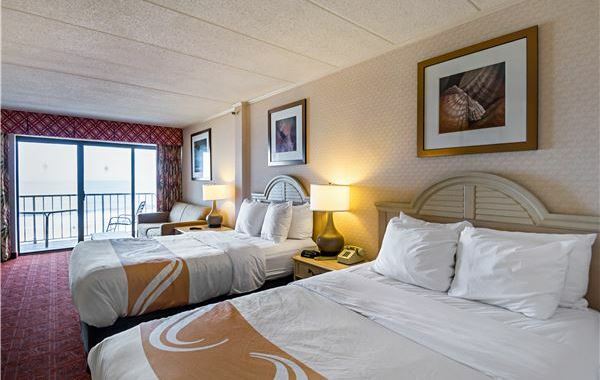 We'll also make you feel at home with premium cable channels, complimentary Wi-Fi, and a private balcony or patio, with select rooms featuring direct ocean views. 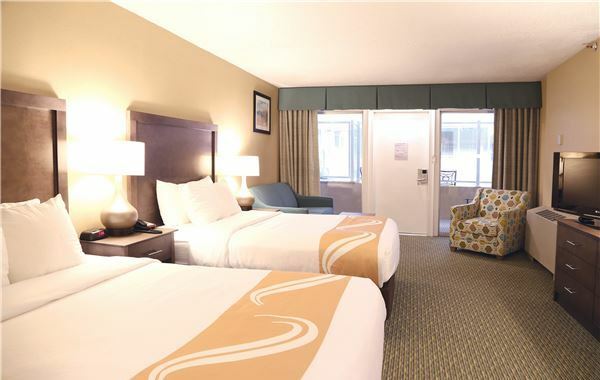 This efficiency comes with two extra-long double beds or one king bed. 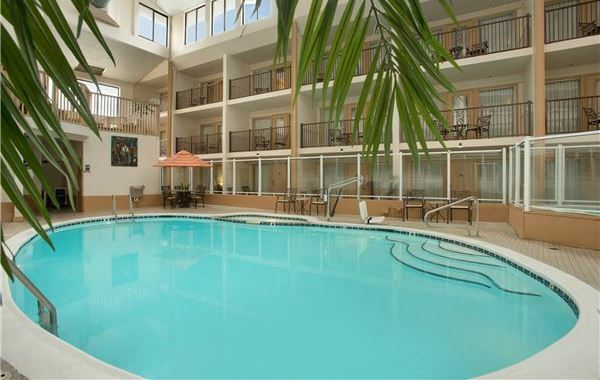 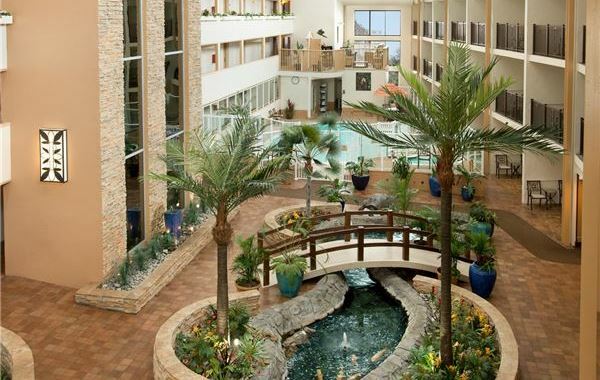 Overlooks the Atrium with our tropical birds and pond with koi fish and turtles. 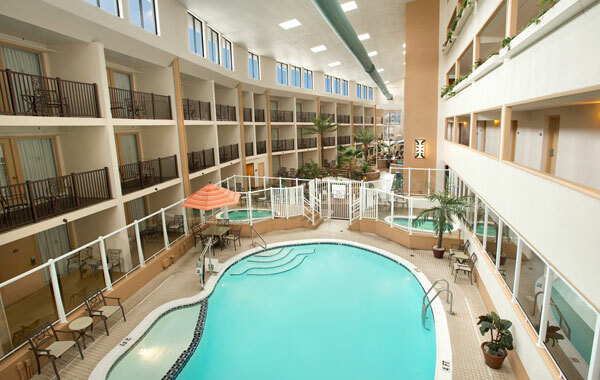 Exterior entrance, stair access only on 2nd or 3rd floors. 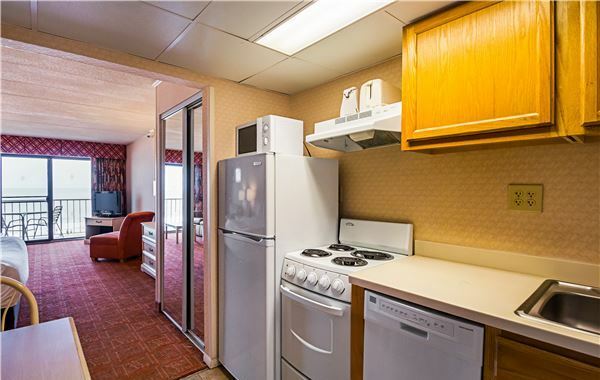 There's more to this upper floor efficiency than two extra-long double beds or one king bed and such niceties as cable TV with premium channels, complimentary Wi-Fi, and fully-equipped kitchenette. 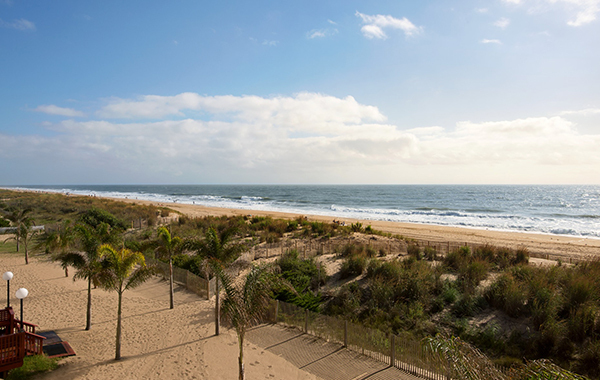 You'll also enjoy a private balcony with a spectacular view of the sand and surf. 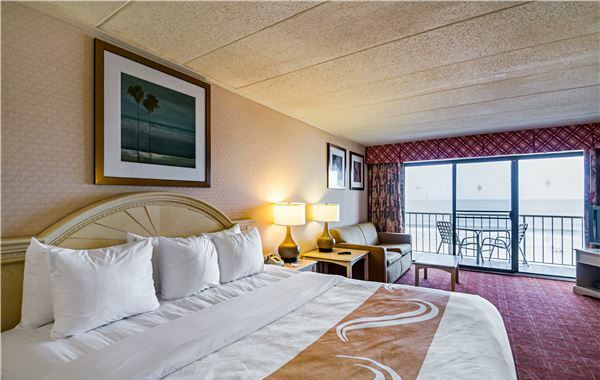 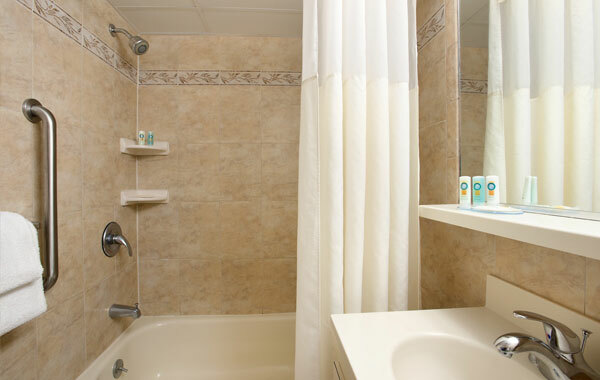 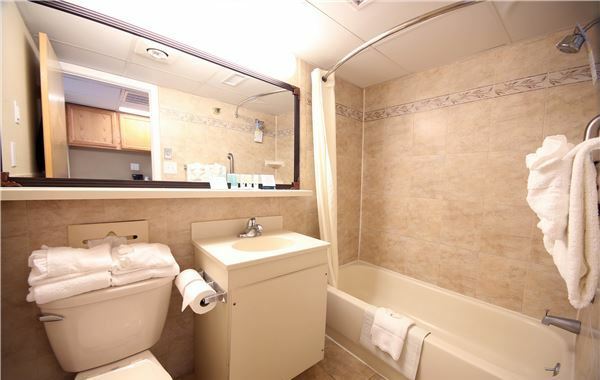 This first floor efficiency features two extra-long double beds or one king bed and a myriad of modern conveniences. 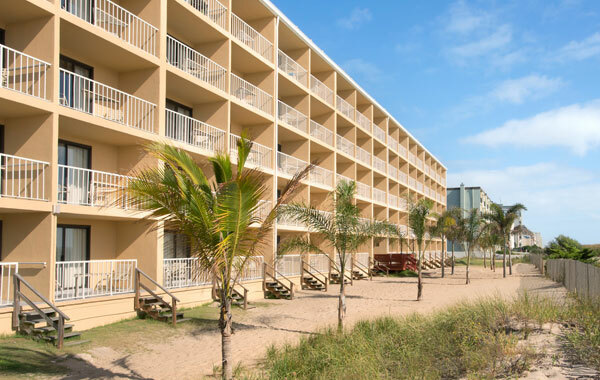 Discover a 32" flat-screen TV, DVD player, complimentary Wi-Fi, fully-equipped kitchenette, and private patio that's a sea shell's throw from the beach. 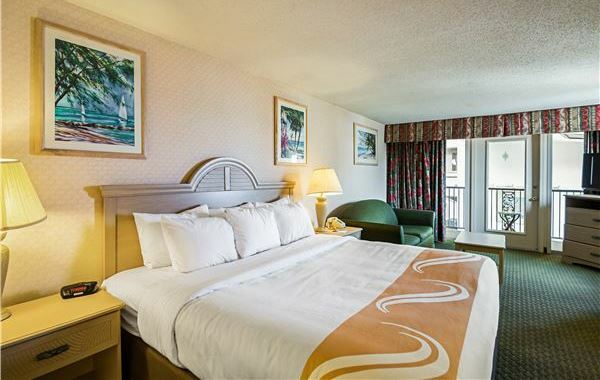 Relax to the max in this enticing efficiency with 2 queen beds or one king bed and guest-friendly extras. 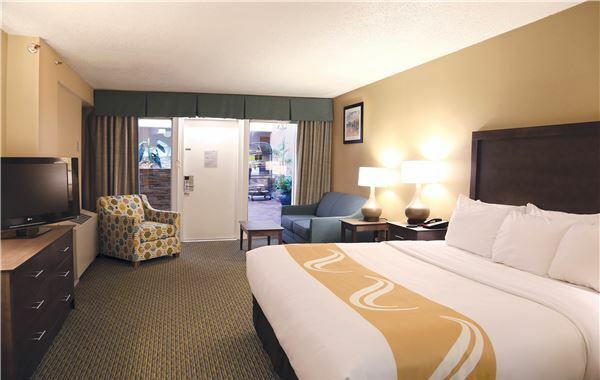 Enjoy complimentary Wi-Fi, fully-equipped kitchenette, and a private patio with atrium and indoor pool access or a private balcony overlooking both.